A little while ago I met Sacha at a bar in San Francisco where I got to chat with him and a bunch of other awesome people about design and other things like life outside of it, yes there is such a thing. I find his work to be something else and I would love for you too to get an idea of what he is all about. I will now let him tell you all about himself. I used to call myself a designer, but I recently realized that I spend around 90% of my time coding and writing, and only 10% designing. Then again maybe that’s also design in a way, in the sense that I build and design my own products? Anyway, I’m a product designer from Paris, France. After a couple years of freelance UI design work, I now focus on my own projects, such as Sidebar and Discover Meteor. 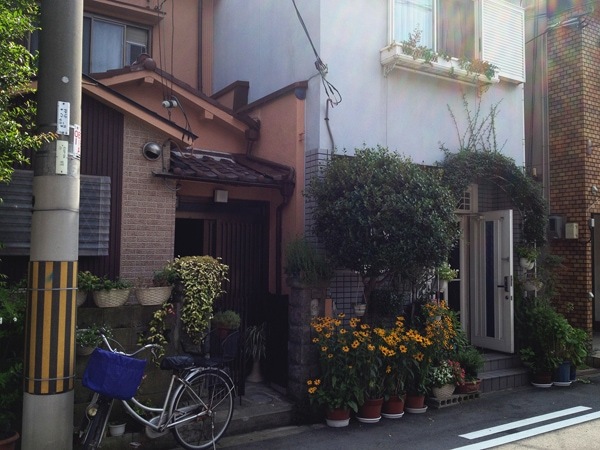 And I live in Osaka, Japan. – What got you interested in web design to pursue it as a career? – I’ve always been messing around with computers and web stuff as far as I can remember. I wasn’t one of those computer science prodigies by any means, but I guess I just liked creating and designing. None of it was especially good and to be honest I never really thought I would one day be able to make a career out of it. But when all my other plans started falling apart, I discovered that web design was the one skill I possessed that people seemed happy enough to pay me for. So more than anything, I think my current career is mostly a combination of luck and having had a good head start on most people. – Are there any personal projects that you are currently working on? Telescope is an open-source social news app (think Reddit or Hacker News clone) that I built using Meteor. 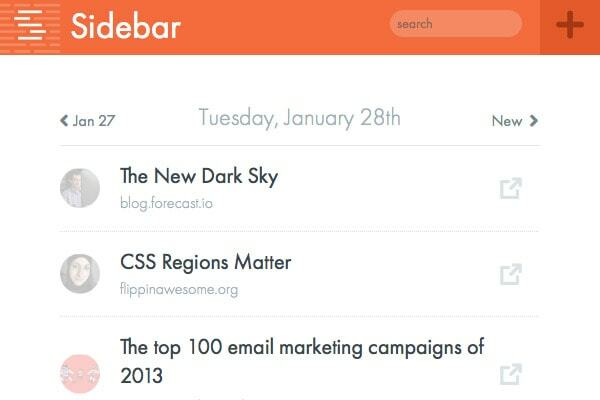 Sidebar is a daily newsletter of interesting design links, also built using Meteor. Folyo is a site that helps startups find great freelance designers. I used to start new projects every six months or so, but I’ve now decided to focus on those four. To make things more manageable, three of them use Meteor, which means I can reuse code between them. And I’ve also got two great partners (Tom Coleman for Discover Meteor and Christian Blavier for Folyo), which makes a huge difference, and makes it possible to juggle that many projects. – Can you tell me what got you to create Folyo and Sidebar? – Folyo is a platform that helps startups find great freelance designers. A few years ago, I realized that it can be really hard to evaluate a designer when you’re not a designer yourself, so created a place where companies could be assured of finding only high-quality talent. So rather than go through the lengthy process of browsing Dribbble and contacting designers one by one, you can post a project on Folyo and just wait for the replies. And Sidebar is my most recent project: it’s a newsletter and site that aggregates the top five design links of the day, every day. I’ve always been a big fan of the way Hacker News always surface the best content as far as startups and programming are concerned, and I thought it was a shame that there was no such thing for design. – What have you found the most rewarding about those two projects? What helps you keep them going? – Working on Sidebar has been very rewarding, since people seem to really like it. I’ve had quite a few people tell me it’s the only email newsletter they read, and that it has become part of their daily morning ritual along with coffee and checking twitter! – Which other designers’ work do you admire? Which designers inspire you? – It’s hard to pick, but I’d definitely put Rogie King on my list. He’s not only an outstanding designer, but also a great front-end engineer. And I really like the work he’s doing for NeonMob. Meng To is also a big inspiration. 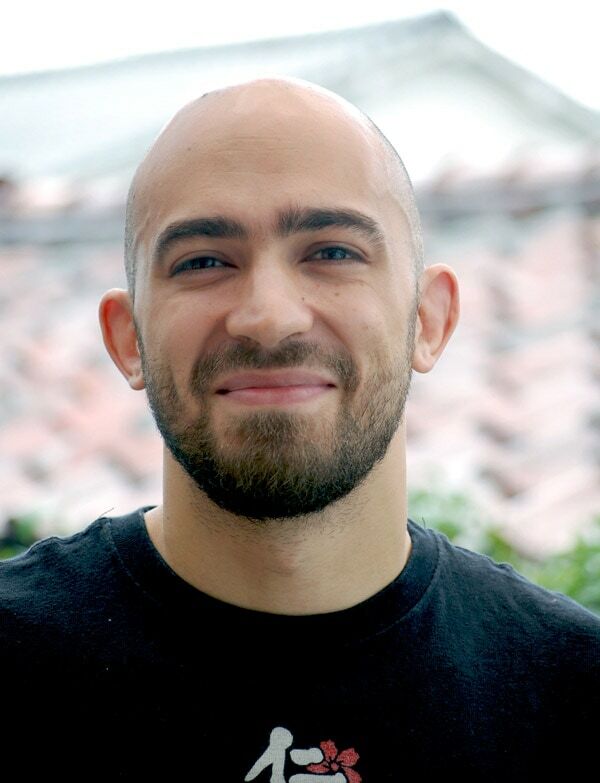 He’s one of the most active design bloggers out there, and has had a huge influence on getting the community to adopt new technologies like Sketch and XCode. – Which websites do you like to visit often, any that are not design related? – I visit Hacker News a lot. Even if a lot of the topics there are highly specialized and a bit obscure, it’s still a site with great discussions and it always surfaces great content sooner or later. – What are you least and most favorite things about the design industry? – I’m just one guys working by himself, so I don’t really feel qualified to make comments about the design industry as a whole. But so far, every single designer I’ve met has always been nice, friendly, and willing to share their experience and knowledge. So as far as I can tell, this industry is pretty great! – Is there any particular product, which has a design that you just love? – Right now I really love Medium’s design. It shows great care and attention to detail, as well as a really targeted focus on doing a single thing, but doing it really well. Another similar product is Exposure. In both cases, a team took an idea that had been done to death (online publishing, photo sharing) and showed that they could do it better than everybody else. I think that’s really powerful. – Is that anything about the currently design trends that annoys you? – I’d have to say scroll hijacking. But to be honest, I think it’s mostly annoying because browsers often have a hard time keeping up with the scroll, and the experience becomes jagged and stuttering. I do believe it can be done right if you keep things simple enough. – Is there a current trend that you can’t get enough of? – I love the trend towards using more, higher quality photos on the web, as seen for example on the SquareSpace homepage. I think it’s part of a global trend where designers are given more responsibilities and more power to affect products on the web. This means more designers now have the resources to hire photographers, illustrators, animators, and directors to make their vision come true, instead of just being the girl or guy that sits behind Photoshop all day. – What were some of the highlights and biggest lessons in your career so far? – The biggest lesson I’ve learned so far is that at least in this industry, any single goal is probably within your reach if you’re ready to work for it. You could probably become a world-renowned expert on Flexbox or CSS Animations within a year if you dedicated your whole career to it. After all, things are evolving so fast that nobody can maintain their lead very long unless they’re working just as hard. Of course, the hard part is finding that goal, and then being willing to do what it takes to get there. But I think it’s nice to know that it’s at least possible. – Is there a challenge you are particularly proud of accomplishing as a designer? – I think my biggest accomplishment so far is having created Discover Meteor. It is a programming book can teach people valuable skills and in some cases help them change their own lives for the better. We’ve had more than a few people tell us they were able to make their app ideas come true after reading the book, and I think any time you can help people achieve their goals, that’s something really special. – What is your advice to people starting out in the industry? What about for people trying to write and publish? – We like to talk about inspiration, motivation, design, and all that, but I think the biggest factor behind all that is actually time, and more often than not that means money. Your biggest problem is always going to be lack of time, usually because of your day job. So I think being able to scale down your cost of living and save up is the first step towards freeing yourself from your 9-to-5, and finding the time to actually work on what you’re passionate about. Seems from the article and comment a geniunely nice chap. As someone who has been in design for a while but is now really starting to take it seriously freelancing, it is great to read the thoughts of designers like this. Will definately be checking out sidebar.